Whether you're considering a job, rethinking your commute, traveling for class, or arriving as a contractor, vendor, or volunteer, you may be eligible for a variety of rewards. Take one minute to request a custom trip plan. Let us do the research for you and you may save time and money on the road. Compare time, cost, rewards, parking and directions among a variety of options all in one email with turn by turn directions you can open in Google Maps. Marquam Hill Campus has limited parking due to capacity limits of the hill and access roads. OHSU incentivizes trips that reduce congestion. Employees improve access by diversifying travel choices and finding alternatives to driving through residential neighborhood streets. South Waterfront Campus is the most transportation-diverse hub in the nation and a gateway to Marquam Hill via the Tram. An aerial tram, foot bridge, streetcar, bike valet, shuttles, and more share this campus. People who travel to OHSU for work and education may be eligible for the MyCommute Program. This program includes rewards such: as cash for active transportation, including walking and biking; subsidized transit; guaranteed ride home; a variety of discounts and more. Explore resources by mode below. OHSU's two main campuses are just one mile from downtown Portland and accessible by sidewalks. See all our resources for walking to OHSU at ohsu.edu/walk. OHSU pays $1.50 a day for eligible walking trips. Discounts often offers deals on active apparel. OHSU is among the most popular biking destinations in any American city. With bike share, you don't need to even own a bike to ride to campus. You can take the bike lanes up Marquam Hill or save some sweat by biking to Portland Aerial Tram, where valet is offered free to the public. Anywhere outside valet, U-locks are strongly recommended. OHSU pays $1.50 a day for eligible biking trips. Employee Discounts often offers deals on active apparel. Every May, OHSU employees compete with friendly rivals in the Bike More Challenge for discounts, prizes, and titles. OHSU is connected by over a dozen bus lines. The Tram offers a five minute transfer to more lines including, light rail, and streetcar. All Portland public transit is ADA accessible. Park and rides offer free parking at over 60 locations. Find your best trip by public transit at ohsu.edu/transit. For anyone with a badge, OHSU’s TriMet and C-tran transit passes are subsidized up to 95%. Streetcar is free with a badge. Log trips on MyCommute to earn badges and rewards. Learn more about transit options to OHSU at ohsu.edu/transit. Split the cost by sharing a ride. Scoop automatically schedules an efficient ride based on your needs and helps riders and drivers better split the cost. Only take the trips you need. OHSU employees and students can learn more at o2.ohsu.edu/scoop. Any OHSU parking permit can be split into a carpool. See your savings here. Find your own carpool partner here. Midday errand or meeting that requires a car? Leave your car at home by taking advantage of these services. Zipcar: Reserve personally or through your department on-and-off campus for round trips. Getaround: Rent out your own vehicle or borrow a colleague’s. Car2Go: Drive one way trips within the home area. Lyft: private driver. Lyft Line carpool available along popular routes at popular times at Lyft's discretion. Uber: private driver. Uber Pool carpool available along popular routes at popular times at Uber's discretion. Marquam Hill has many buildings and types of parking. We strongly recommend reviewing a map and reviewing your daily options before driving to Marquam Hill. Who needs a permit? Anyone not here as a patient or patient’s personal visitor, 8am-5pm weekdays. Restricted Zones, enforced 24/7, include patient, special reserved, emergency, and Public Safety spaces. Visiting for personal reasons? Give us a call at 503-494-8283 and have your license plate information ready. Daily and hourly parking are purchased online or at onsite paystations. Annual permits for daytime parking are on wait lists. Due to a City cap on parking, OHSU does not directly control supply or demand; annual permits are thus very limited. Parking is free at over 60 park and rides around the region. Learn more about driving to OHSU at ohsu.edu/parking. 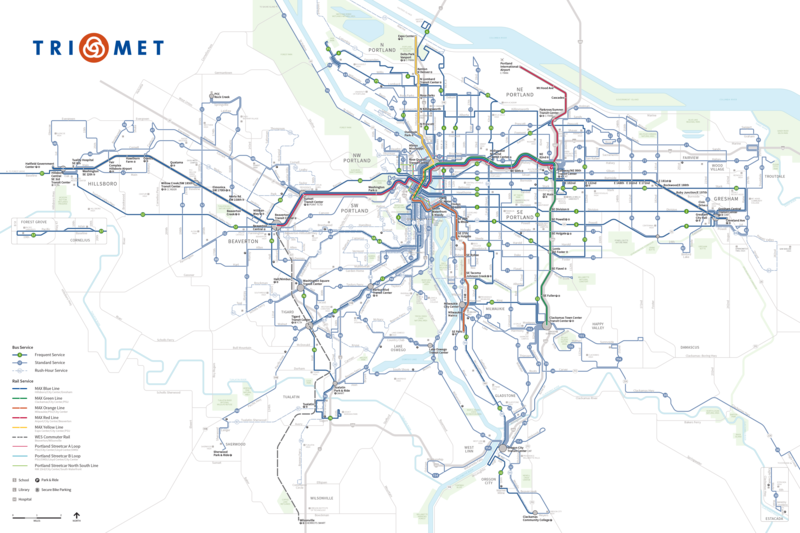 Eligible participants must be traveling for work or education to a site in the Tri-County Metropolitan District of Oregon (see the TriMet system map) and must have an OHSU network login and active OHSU badge. This access is provided at the discretion of the sponsoring department; not Transportation and Parking.